Antarctica is a continent for discovery. It offers a unique environment as a lab for scientists from around the world. However, the physical conditions and isolation make getting and working there an effort. Add to this the care required to preserve the pristine Antarctic landscape, and many things may not work at the bottom of the Earth as we are used to or expect. IceCube is a cubic-kilometer detector buried in the Antarctic ice. It took a large team of scientists, engineers, IT specialists, and drillers to design and build this incredible observatory. Now IceCube has become a tool for discovery. Many thought IceCube was a dream that would never be realized. But IceCube had at its core a great team. And we know that the collaboration of people with different skills who share a common dream can make their dream come true. Your challenge is to come up with an experiment that will work in your hometown but, if repeated at the South Pole, would give a different result. Tell us what you would expect to change and why you think it would behave differently. Why might things work differently in Antarctica? It’s an extreme location on Earth with unique characteristics. So, if we want things to happen in a specific way, we have to craft our experiments accordingly. There’s probably a way to overcome most of the challenges of working at the South Pole. But you don’t always know what the obstacles will be until you try your experiment. This international contest will select a few experiments to be tested during the IceCube 2017-18 South Pole season. You can join the dreamers and become an Antarctic scientist. You will need to think like a scientist, design like an engineer, and present like a communicator. Let’s see what kind of unexpected results the South Pole location can produce. 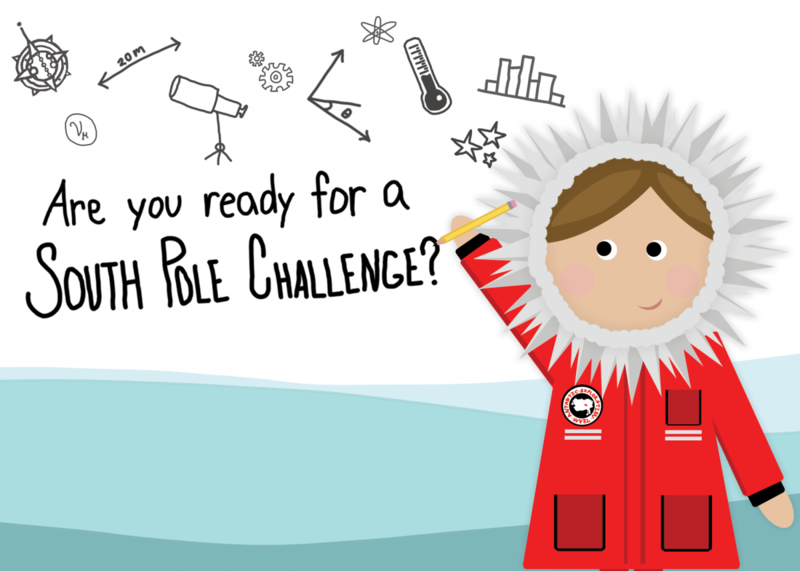 Are you ready for your South Pole challenge? This year's deadline to submit to this contest has passed. Please check back next year. Click here to see this year's winners! The South Pole Experiment Contest is an IceCube outreach program in collaboration with PolarTREC to engage students around the world in research, developing critical skills for STEM careers both in academia and industry. This program builds on a previous contest launched by the Interuniversity Institute for High Energies in Belgium. We would like to thank NSF for the opportunities that the Amundsen-Scott South Pole Station offers to IceCube and to all researchers, including the participants of this contest, to continue exploring the universe from such a unique location.